When you have a great brand of washing machine you want great technicians to keep it in top working order. It Is Fixed technicians are Hotpoint washing machine repair specialists. 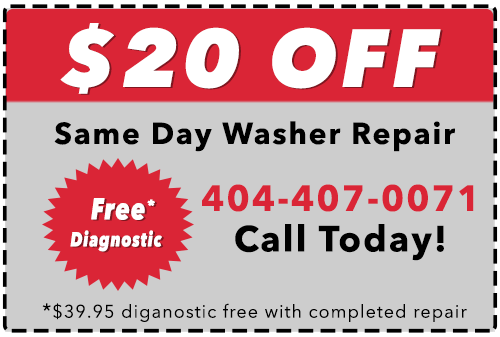 We combine our fast, friendly service with quality expertise and same day appointments to be the best appliance repair company in the Atlanta area. Much like It Is Fixed, Hotpoint washers are well-known for their reliability and affordable pricing. When things do go wrong, we can make sure your washer is not out of commision for long. Our field-trained technicians use original factory parts for every repair to maximize compatibility and the efficiency of repairs. With a 90-Day Service Guarantee, you can feel confident when you book service with It Is Fixed. Light No.4 Electrical issue with motor This error indicates that there is a short circuit within the motor, or between the motor and the control board. Unplug the washer from the power. Check the wire connections between the motor and the control board. Look for frayed, loose, or damaged waires. If the wiring is sound, the motor may need to be replaced. 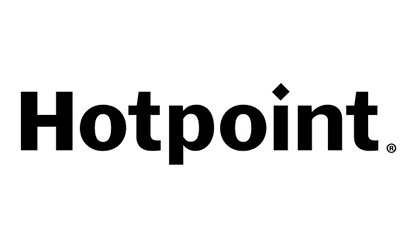 Contact a Hotpoint washer repair service for assistance. Light No.3 The washer motor can’t turn. If the washer is overloaded or there is an obstruction between the wash basin and the washer shell, the motor may freeze. Drain the washer (if necessary), and attempt to turn the wash basin manually. If it spins freely, Unplug the washer and check the wire connections between the control board and the motor and reconnect any loose wiring. If the rotor cannot spin freely on its own, the problem is elsewhere in the system. For more information, check our troubleshooting guide for a washer that can’t spin. Light No.3+4 Temperature Sensor Issue This error happens when the washer can’t heat during a wash cycle. The error may be an issue with the water temperature thermistor. The thermistor is used by the washer to sense the water temperature. When this error code occurs, unplug the washer and check the wired connections between the thermistor and the main control board. If the wiring is okay, replace the thermistor. Light No.2 — This error indicates that the pressure switch is jammed after the final cycle. Unplug the washer and inspect the pressure switch, replace if defective. Light No.2+4 The washer can’t drain If the washer is new, the blanking cap / spigot will need to be removed. The Hotpoint washer has a “Reduced Creases” button which, when activated, prevents the wash cycle from fully completing. When this happens press the “Start / Pause” button to resume the wash cycle. This can also happen in Hotpoint washers if the “Spin Speed” selector is set to the “Off” position. For additional support, check our Washer Won’t Drain” troubleshooting article. Light No.2+3+4 There is an issue with the heating circuit When this error code occurs the heater relay has a fault. Unplug the washer and inspect the wiring between the heating relay, the heater, and the main control board. Fix any connectivity issues with the wiring. If this doesn’t fix the problem, the relay will need to be replaced. Contact an appliance repair service for assistance. Light No.1 There is an issue with the washer heater When this error code occurs the heater relay may have a fault. Unplug the washer and inspect the wiring between the heating relay, the heater, and the main control board. Also check the pressure switch and heater module. Fix any connectivity issues with the wiring. If this doesn’t fix the problem then the relay will need to be replaced. Light No.3 Software or data issue detected. This error indicates an EEPROM failure within the main control board. Unplug the washer and leave it unplugged for five minutes. Plug the washer back into the power. If the error returns, the control board may need to be replaced. Light No.1+3 Pressure switch issue This error occurs when the pressure switch does not correctly sense water pressure. Unplug the washer and replace the pressure switch. Light No.1+3+4 Drain pump issue detected. This code displays when the drain pump cannot activate. Unplug the washer and check the wiring between the drain pump and the main control board. Fix any faulty wiring. If this does not fix the issue then replace the drain pump. Light No.1+2 Washer won’t start. Read our detailed troubleshooting guide to fix an issue with a washer that won’t start.